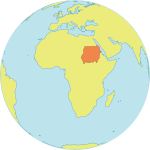 EL OBEID, Sudan – In the early 1980s, Abdullah Ali Abdullah saw constant infections and childbirth complications while volunteering in a health centre in Sudan’s North Kordofan state. He soon realized many of these issues had the same root cause – female genital mutilation (FGM). It is a question he would pursue for 30 years. In Sudan, many people feel FGM is a religious obligation. But Aljaile researched this idea, and discovered that Islam – the predominant religion in North Kordofan – does not require FGM. FGM is also performed out of the fear that uncut girls will not be able to marry. But if whole communities abandon the practice together, FGM would no longer be a requirement for girls to marry. Aljaile began to share these ideas with others, but he met great resistance. Many people were unwilling to even discuss FGM with him. Aljaile eventually joined the North Kordofan Ministry of Education, where he worked on religious education. There, he had the opportunity to speak with imams and sheikhs about FGM. Finally, people began to listen. Aljaile became a pioneer in the movement against FGM in North Kordofan. In 2014, Aljaile participated in a UNFPA-supported workshop in Khartoum, the capital, where he learned ways to encourage communities to change that have proven successful in other regions and countries. One approach encourages community leaders to use religious texts to endorse the values of mercy and love when discussing FGM. The second approach promotes use of the term ‘saleema’, which means whole or unharmed, to describe uncut women and girls. Both strategies help communities re-think FGM. For two years, Aljaile continued his outreach work, with technical support from the UNFPA-UNICEF Joint Programme to Eliminate FGM. In 2016, he began to host workshops and talks to engage community members on the subject, often with support from UNFPA and the Joint Programme. He spoke to religious leaders from all over the state. And he began to engage women’s groups on the subject as well. Today, he hosts regular television and radio segments on FGM. He also works with a team of four – a midwife, counsellor, health worker and religious leader – in his community outreach, helping to address the issue from a religious, health and family perspective. And they are making real change. At least four communities in North Kordofan have so far publicly abandoned FGM. And these days, Aljaile is thinking even bigger: He hopes to reach every community in the state.